Confusion in the savoury snacks aisle in Tesco! We like to keep everything current here at Absolute Dental and so Christina and Ruth decided to update the “Healthy Snacks” leaflet we give out to our younger patients last week. Christina our very talented dental therapist, loves a challenge and took to the internet to do her research and looked to ways to jazz up the leaflet. We came across one surprise and thought we should share it with you….. 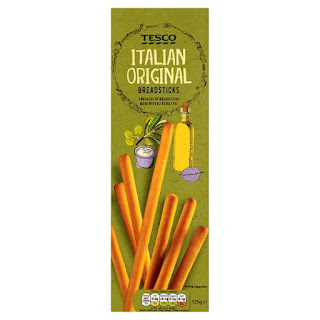 Plain breadsticks (often a common lunch box favourite of mums and considered a good healthy snack and an alternative to sweet biscuits) left us all scratching our heads. 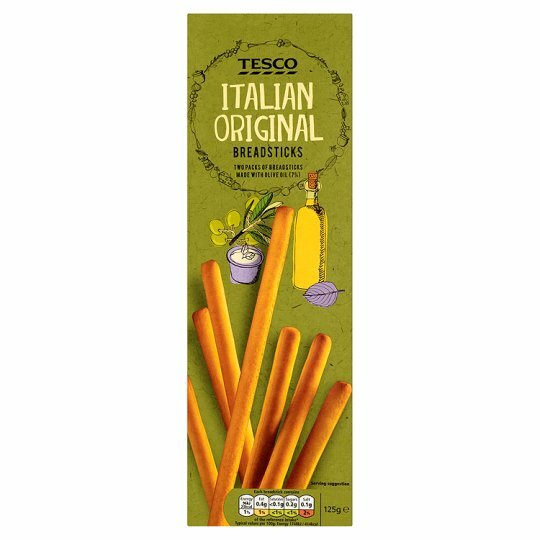 We checked the ingredients of Tesco Plain Breadsticks, and NO sugar – result! 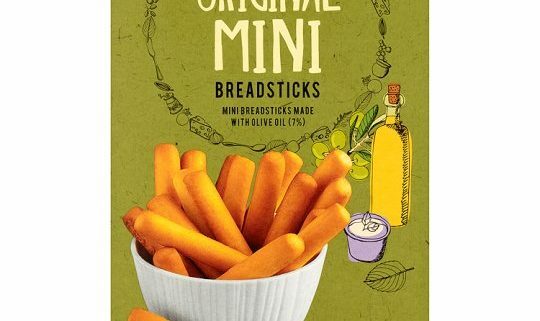 We looked at the mini alternatives too – better for little eaters! Once again, NO sugar – perfect! 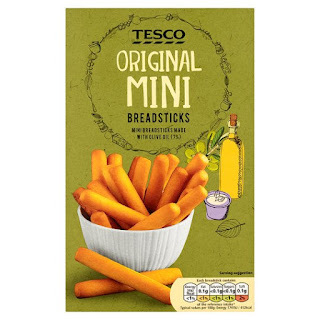 However, the problem comes when we looked at the more convenient “lunch box” alternative, the same Original Mini Breadsticks but in handy individual packs…….. …..In these, the third ingredients on the list (in other words, the 3rd largest ingredients in the product) is SUGAR!!!!! Christina quickly emailed Tesco to highlight this to them, and raised her concern that in her effort to promote “healthy snacks” to patients to reduce tooth decay, the message can easily become confused by inconsistencies such as these – and went on to ask them when they would be removing sugar from their recipe! I’m sorry to learn that you’re unhappy with the sugar content found within our own brand breadstick; after reading through your email I can understand your concern with this. I’m unable to make a decision as to changing any part of a products recipe but I’ve now spoken to my Business Support Team and have advised them of your concerns with the sugar content; they’ve taken this as feedback that we can give to our suppliers as a suggestion. Thank you for taking the time to email me; if I can be of any further assistance please feel free to contact me. We are sharing this with you as we feel many people would examine food labels as closely as we were able to on this occasion – and want to raise awareness that even the healthiest seeming snacks are not all that they seem. Maybe some of you will be motivated by this to read labels more closely – or even do as Christina has done and drop an email to a high street shop…..we need to take action on this, either on a personal level or on a larger scale to try and change the health of a nation an their teeth. 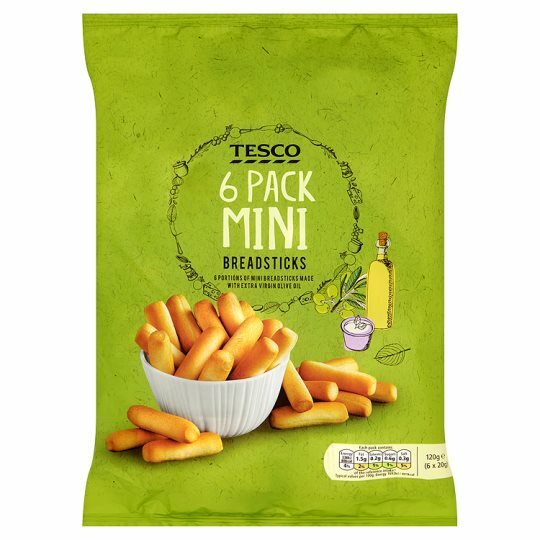 Please share this to raise awareness – and maybe a few back to school pack lunches will look a bit different next week…..
https://absolute-dental.co.uk/wp-content/uploads/2016/09/mini-bread-sticks-whole.jpg 540 540 Absolute Admin https://absolute-dental.co.uk/wp-content/uploads/2016/11/absolute-logo-NEW1.png Absolute Admin2016-09-27 21:37:522016-09-28 19:56:28Confusion in the savoury snacks aisle in Tesco!